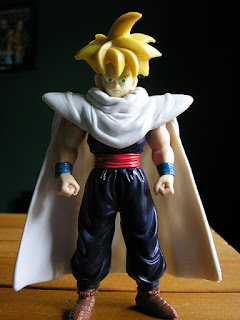 I admire Gohan because he charges up with a shout. Then he becomes a legendary Super Saiyan. He is from Dragonball Z. Despite being only half-Saiyan, he is as cool as Goku. In the Majin Buu saga, Gohan went mystic, which is possibly more powerful than Super Saiyan 3. Skillfully, he faught against Majin Buu, Cell, and Frieza, who wickedly killed Krillin. Gohan is awesome because during battle, when he executes my favorite move he shouts, "KAMEHAMEHA!"